Football is a great game and there are lots of fan and followers of this game who are crazy about their favorite team. I was checking Quora and found that many people were facing a hard time finding sites and apps that deliver genuine streaming of ongoing matches and events. So we started researching and came across many apps and sites that promise to show the live matches but most of them fail. We have tested them and found few that are worthy enough to reserve a place on this page. But if you want a basic website where you can check and connect with the community then you can log on to m88 online. ESPN is the word leader in Sports. You can watch football and soccer matches live through the ESPN sports channel. You can also get all the required information related to your loved game on the homepage of the channel. So, if you are football passionate this is a must channel for you. From Hot is a sports website which lets you watch football and soccer matches live. The interface of the website is user-friendly, the homepage displays a list of all the football matches. Just click on the video link and enjoy watching football matches online. NBC Sports is an android app with full delight for football lovers. Installing this app on your android powered device you can watch football matches live for free. The NBC Sports enables its users to set up alerts which notify them of important matches and matches of their favorite players. The Football Channel Next Match TV is a sports game app which lets you watch football matches live. If you do not desire to miss any of the football matches. To download this app you can use this Link. Once you download the app you can set up alerts which tell you the date and time of the next football game. Football Live Stream is a mobile app that enables you to explore all the major football matches and watch them live. If you are a football freak and do not wish to miss any of the football matches download the Live Stream app and enjoying watching football matches in the best quality. You can use this application in your 2G or 3G enabled smartphone in a full-screen resolution. This a news broadcaster which helps you to watch Premier League goals on your mobile during the match on your web-enabled smartphone. Using this application one can watch football match highlights, check out scores and get updated on all football news. Download this app from google play and have a nice time enjoying watching football. Sports HD is a great website which would end you search for a website to watch football games online. This enables you to watch unlimited soccer games and all major football matches for free. It is compatible with android, windows and iOS. 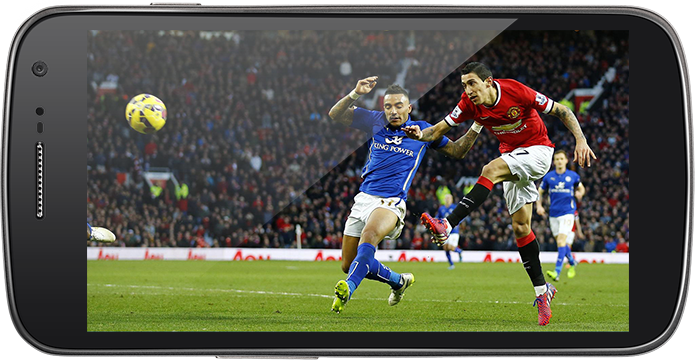 If you wish to watch your favorite game using your smartphone Sports HD would be a great choice. Moreover, there are no charges associated with it till 30 days. You can enjoy the experience and feel the performance of the website during the trial period. It enables the user to watch live streaming of all football matches across the globe.